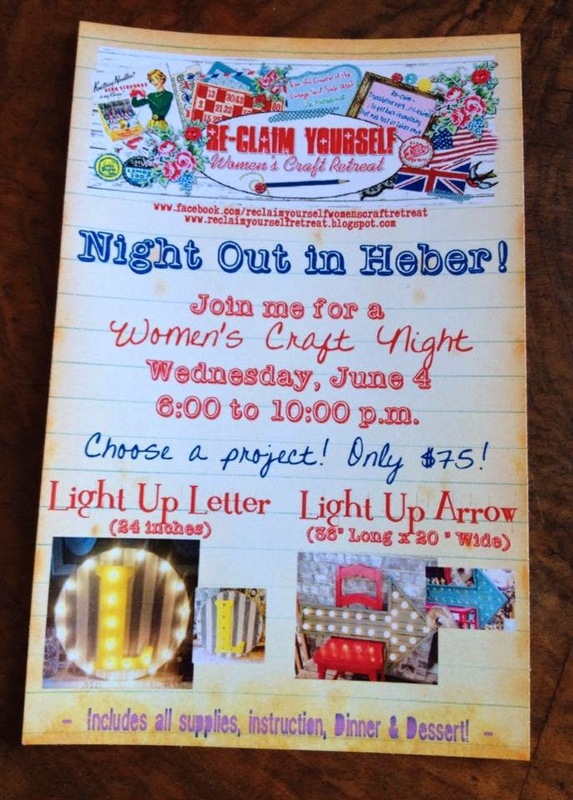 Come join me and the Reclaimologists & Other Craft Chicks for a Night Out in Heber! Heber Retreat House all decorated & cute!! Email me at reclaimyourselfretreat@gmail.com to be signed up! Limited space so let me know asap! Map for Utah Vintage Enthusiasts!